Design trends come and go. But there is a trend that seems to be timeless. 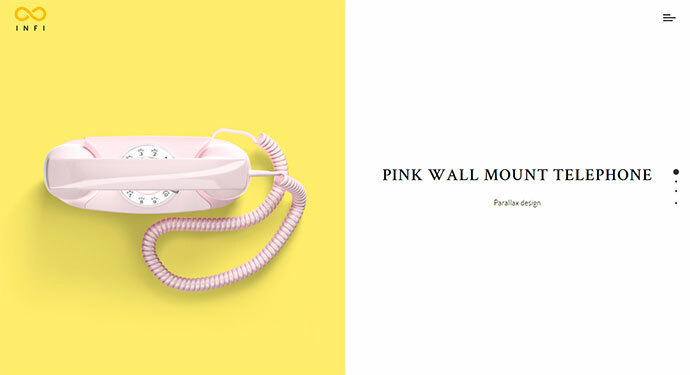 Minimalism is one such trend. Research shows that users want a simple, easy to use interface for finding the content they need. 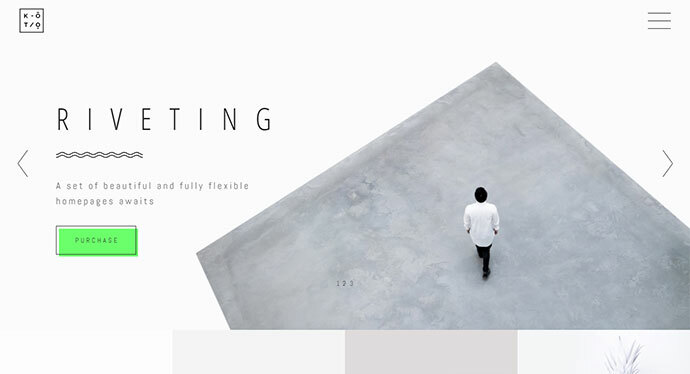 Minimalist web design allow your content to shine without unnecessary clutter that stands out from the rest. 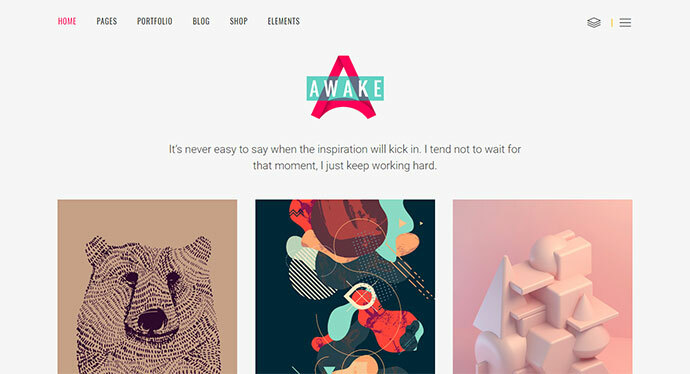 So here are 30 Timeless Minimalist Portfolio WordPress Themes that will make sure your content shines with amazing typography and readability. It is a new way for designers, developers and users to experience WordPress. 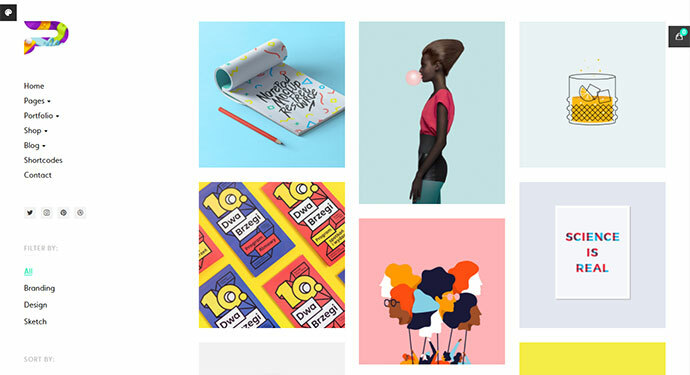 A Portfolio website reimagined to highlight your most important content. In the same way that brave explorers carve pathways to new ways of living, thinking outside of the square and pushing the boundaries of human experience, your work also deserves new & original ways to communicate with your audience. It is packed with powerful and highly practical options. Great looking minimalistic design from inside and out. No unnecessary details make it look clean and beautiful. 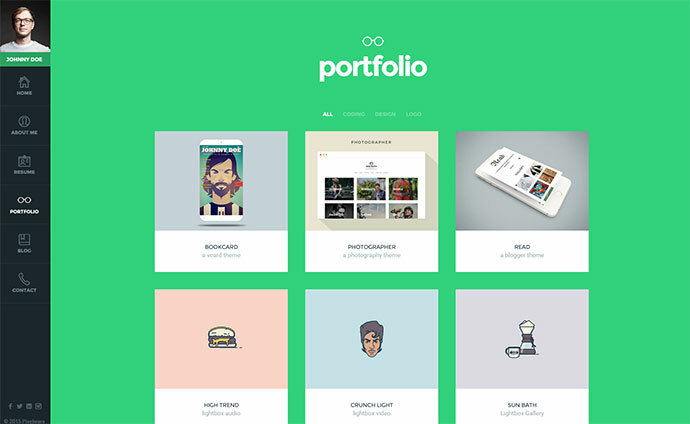 It is a simple, elegant, and content-focused theme you can use to showcase your beautiful portfolio. It`s simple, minimalist and looks great on any mobile device. 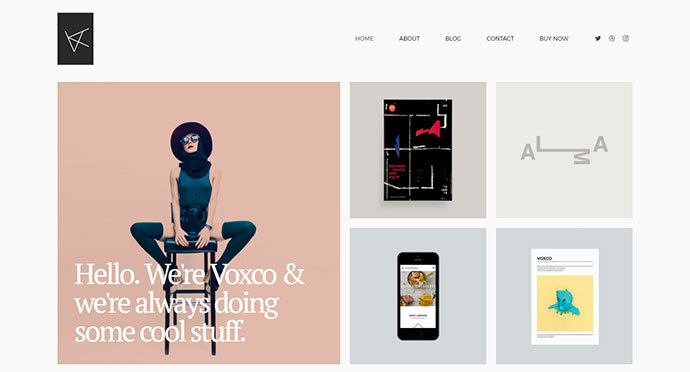 Made for a freelancer, designer or smaller agencies who are looking for elegant, professional and minimal look. It is the perfect combination of minimalism and modernism. 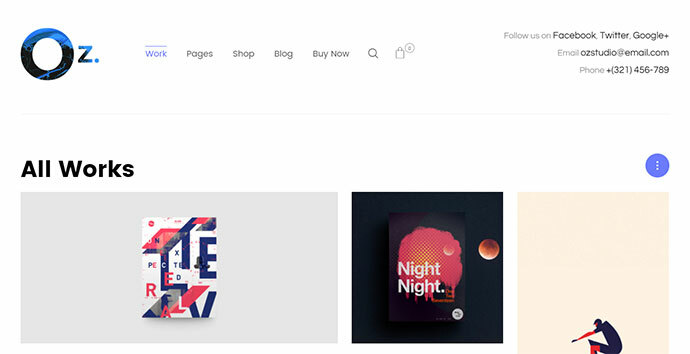 It is a one-of-a-kind portfolio theme you can use to showcase your beautiful works and your identity. With this theme you will not need to worry about your work not being seen, because your website is taking too much attention. Minimal and clean design of Nebula will solve this issue for you. It is designed around the content, making sure that your content, projects and articles are the dominant elements on the page. 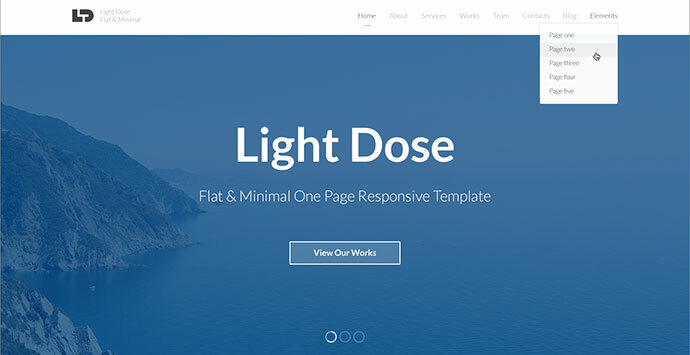 Minimal WordPress theme that is beautifully designed in perfect harmony to impress your visitors. It offers both creative and professional touch while also making your wonderful works and content stand out. 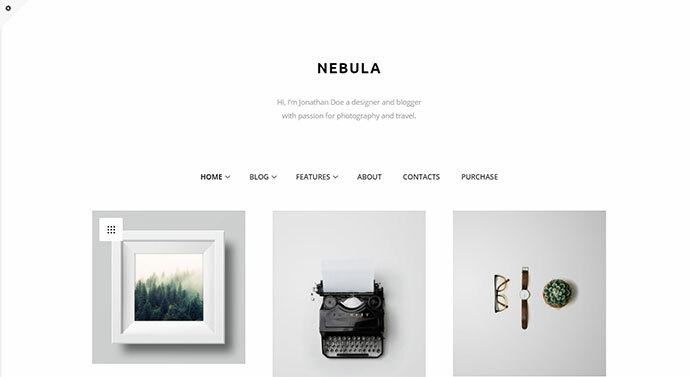 It is a minimal, clean and color customizable WordPress theme for creatives. You can create a timeline as your portfolio, use the beautiful blog style to write about interesting things or you can sell your products with amazing pricing tables. Everything seen in the theme preview can be achieved via shortcodes and WordPress default functions. You however should have at least a little knowledge of both HTML and WordPress. Following the trends in design, they tried to create, first of all, convenient and functional product that will not take a lot of time to configure and setup. And most importantly, it will fit almost everyone. Flat design, simple and expressive animation will make your content unique. 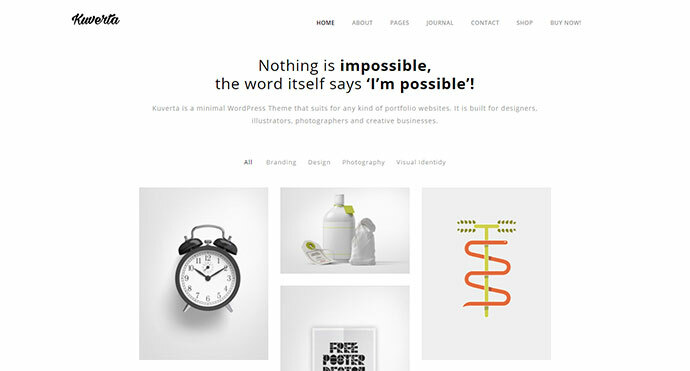 It is a modern, clean and professional WordPress Theme,it is super for creative portfolio web site. 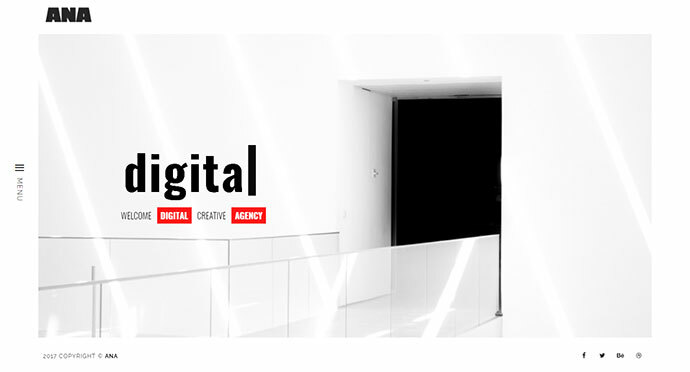 It is fully responsive, and it looks stunning on all types of screens and devices. If you love a theme that is aesthetically simple, uniquely stylish, and simultaneously provides straightforward functionality for publishing your amazing works, it is just the perfect theme for you. 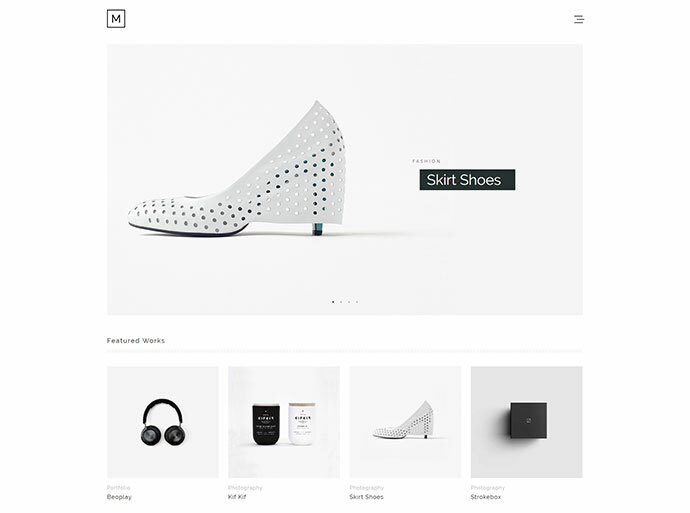 It is the embodiment of a fresh, clean, minimalist Portfolio theme which can also be used as a multipurpose theme.You can use it for selling your products via the amazing WooCommerce, or for clean, simple, fashion-related, personal, or travel blogs.Minelight theme is packed with a bundle of powerful features and you can use it to present your portfolio in the most glorious way. 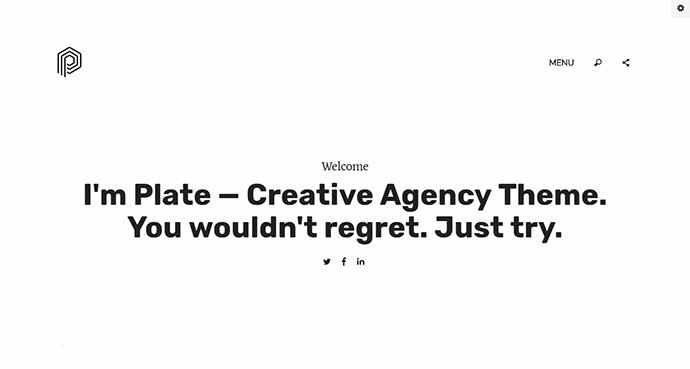 It is creative agency theme for WordPress that was built for designers, freelancers, photographers and all creative folks. This is a minimalist perfect pixel theme that designed for portfolio, online store, agency and other work/product focusing websites, it comes with tons of features like hero content, infinite scroll, parallax background, unlimited grid layouts, etc, 100% responsive and retina ready. 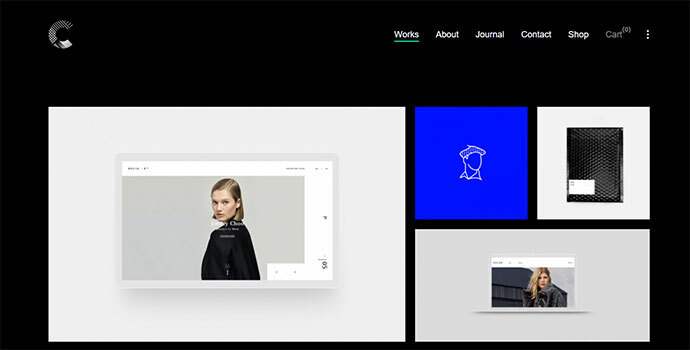 It is a minimal business and portfolio Theme that is created to be used as a One Page Template. With the help of a Template Builder you can create a single page which holds all your content. 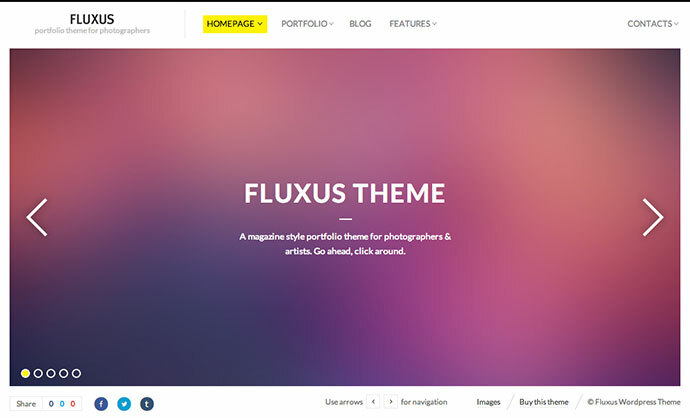 It is a magazine inspired WordPress theme. 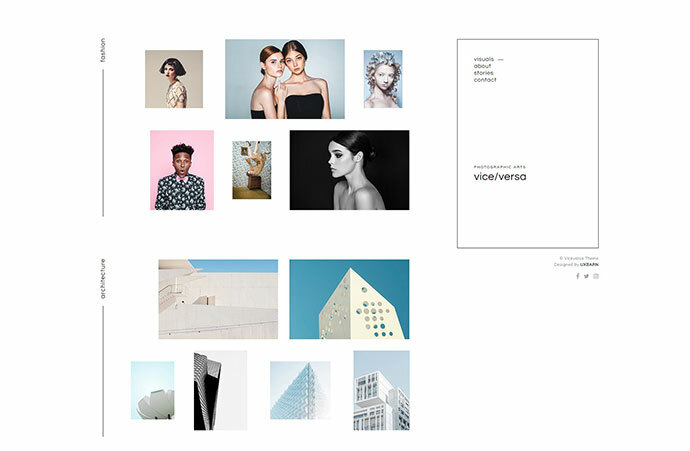 It features a horizontal portfolio layout, which allows you to showcase your work side by side. 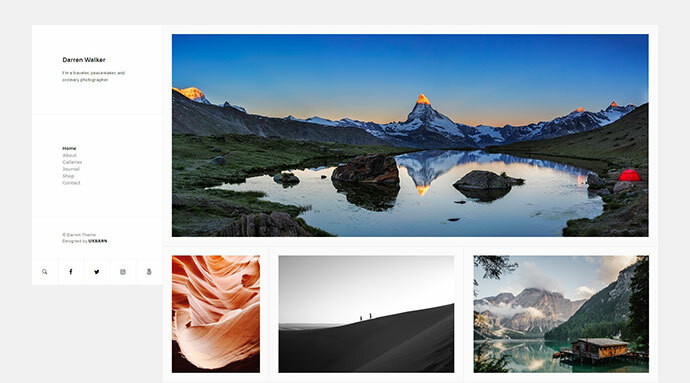 It is a photography theme that delivers functionality and design in a straightforward way. With its simplicity, you can effortlessly upload your works then they will display right on the website. 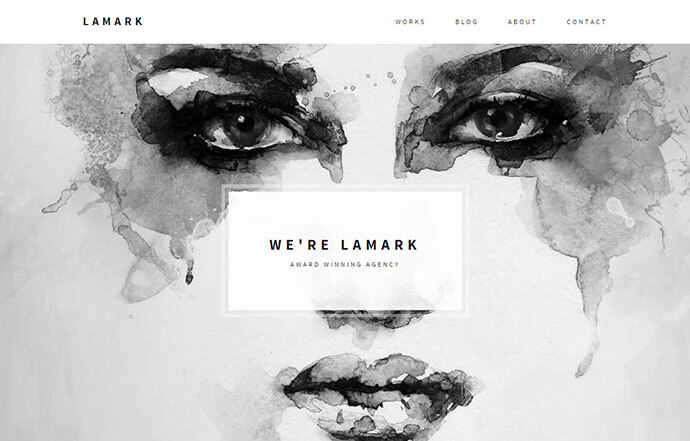 It is a creative and friendly WordPress theme. 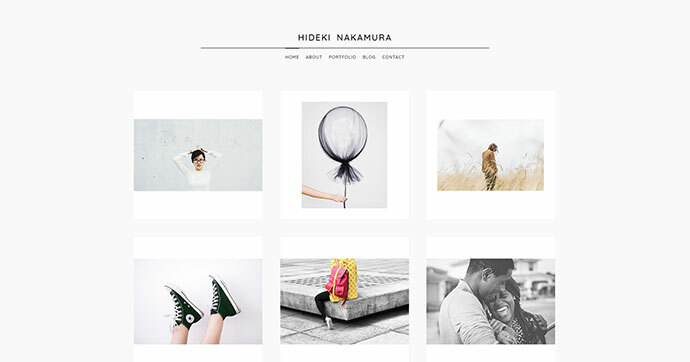 You can use this theme to build your portfolio, your blog, and if you want to open an online shop, the theme is also the best choice. 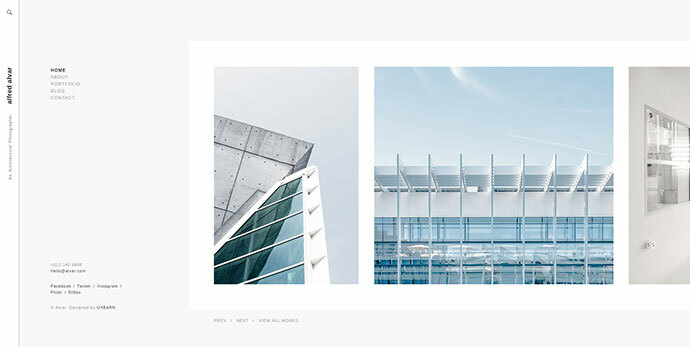 A stunning minimal home page is on display with a creative presentation of your images. An amazing layout is provided for showcasing your magical images and videos in a stunning masonry portfolio. 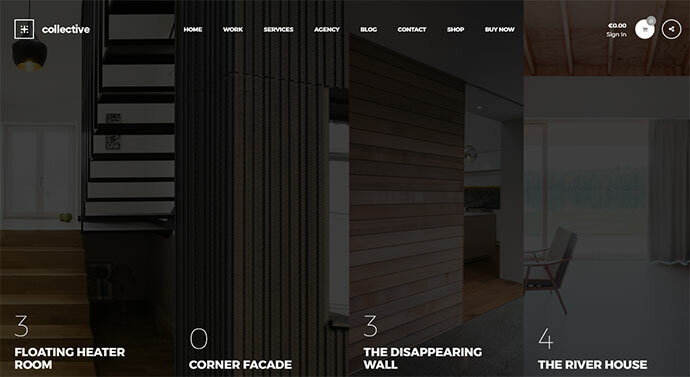 The Hamburger menu when clicked reveals the header menu providing the options for portfolio, about us and contact us. It is suitable for creative professionals, agencies, freelancers, illustrators, photographers, and others. A large number of options and add-ins will allow you to understand what a real premium template is like. Thanks to Live Customizer you will be able to change the theme on the spot, now it’s easy and convenient. 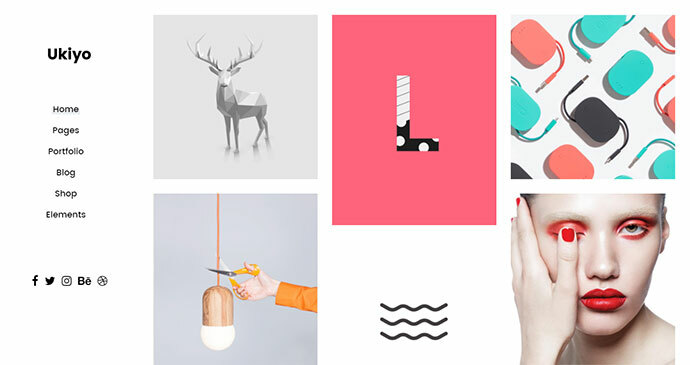 A contemporary creative theme made for designers, artists & other creatives. 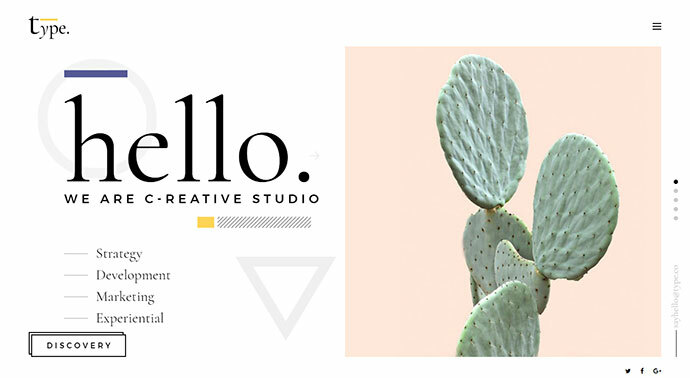 Packed with beautiful portfolio lists and single project layouts, awesome elements, 10 amazing homepages, lots of practical inner pages, and much more. It gives you the speed and flexibility you’re looking for in a theme, so you can build a stunning website to showcase your work and create a pleasant experience for your visitors. 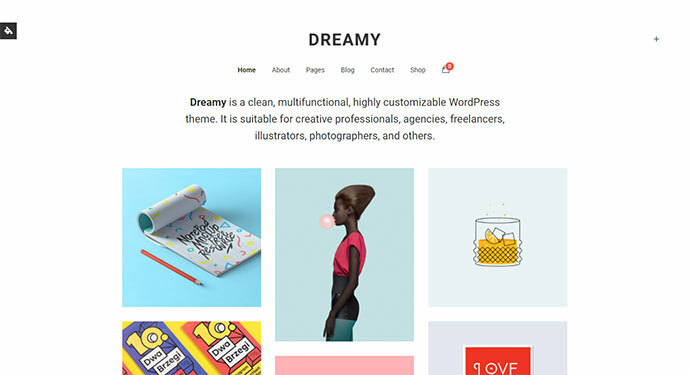 With frustration-free customization options, this theme is exactly what you need to put together a stunning website that will wow your clients. Your work deserves nothing but the best, and Ukiyo lets you achieve just that. Don’t wait, set up your website today! It is the reformer way of representing your online identity. Empathy’s unique layout and sleek design will show what you have to curious eyes.It has plenty of customization options that you can tune it up to reflect your style in minutes with no hassle. It has sidebar builder, footer builder and header builder which makes it perfect theme like no others. Kuverta is speed optimized, and you will be amazed by its speed. 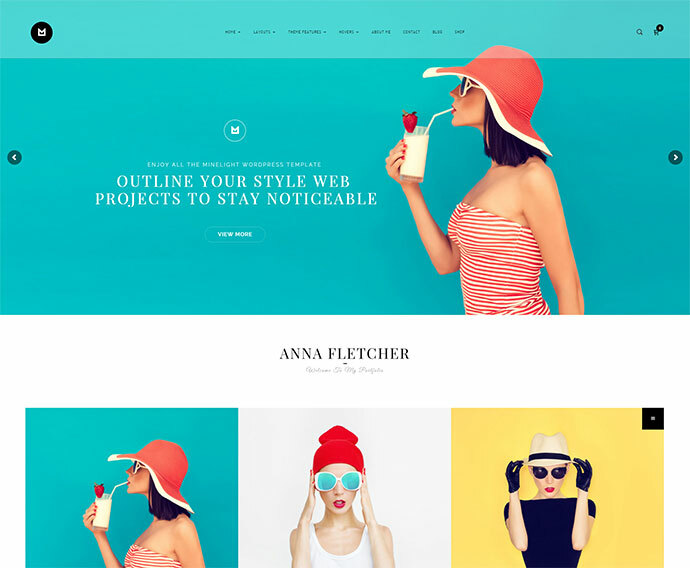 It is a responsive, fast and super advanced portfolio theme, that will help you showcase your works and content in the best way possible. The theme has a clean and flat design, and is retina-ready as well.